Operamini has long been a popular web browser as it compresses the site you're browsing thus making it load faster and easier. In this post, I will tell you how you can access the internet using the said browser. Disclaimer: The information posted below this line has been collected from the internet, too. It worked for my phone and there is no assurance that it would also work on yours. This post does not, in any way, encourage hacking or using illegal means to access the internet. Use at your own risk. FIRST of all, get to know your fone! Check its series/version and whether it supports java apps. Next, download and install the compatible version of operamini to your fone or manually try to install the versions you can find HERE. Then, check the small box beside Remove Port from URL. THERE! You’re ready to surf! Hit OK, then when the phone asks you which access point to use, just choose MYGLOBE CONNECT. Sorry but this setting only works to globe network. *just post your questions in the comment box. Please don't ask questions that we're already asked by others. Read through the comments before asking. Who knows, the answer is just right there. my OM 5.1 works on my LG KM555e. It is the first time that i was able to make use of it. "go to myprov.co.cc then put the access point name, ip and port.. generate and download the file.. yun lng.. ipasa sa s40.. setting configurati0n.. then set as default"
there are other apps besides opera mini that you can use for free. I'm using snaptu with this hack and it works great! hey,san mkkta ang 0pera mini settings? This setting doesn't work as of the moment. you have to install the HANDLER VERSION of operamini. Download Link is provided above. Then just follow the steps posted here. ty po ate. . .
Hi i'm using galaxy mini do you have any tricks for that unit thank you! how about for smart users u dont have ??? 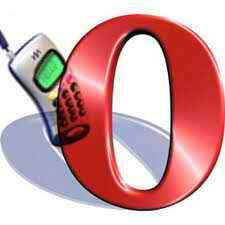 i have opera mini 5 beta but it can't surf the internet..
@jeff: i'm not sure if the trick would work on samsung phones. is the trick work on sony ericsson vivaz? pls reply asap... or u can text me.. 09473349818 pls.. help me..
haven't tried it yet on sony phones. You can try it yourself :)) Goodluck! wat po compatible na opera mini version sa nokia e63 and wat access point to be used..
use Myglobe Connect as your access point. yung sa LG T310i ko po,..
@Aliah: I'm not very familiar with LG phones. But you may try downloading operamini by handler (link is provided above), install it on your phone then just follow the steps posted above. is it compatible with opera mini 3?.. matagal ba magopen kapag unang try palang? hi,, i cant use my OM4..it was always ask for an air time that cost a money..
Hi! You should install opera mini that was modified by handler. It allows you to edit the settings. It's a trial & error process. Try which one works for you. Note: Only works within Philippine areas. Hi anonymous! That is where you can find operaminis that were modified already. You should install one that was modified by Sir Handler so you can edit the settings. Regular om's, or the one that is pre-installed in your phone cannot be edited. Hi. Pls install the version you can find on the link provided above. can i use dis trick in India to access free internet frm opera browser?? Hi Maddy! This trick only works within the Phils. This app is not from trusted supplier"
ang im just pressing on "yes"..
again and again..why is that sO?! am i doing the right thing or there is a step i skip without knowing? hope you could helP me!thanks a loT and have a good day ahead! thank you for that info. anyway i have read your comment posted above that s40 need prov files. i tried to search generating provfile online and i was just wondering what name, apn, ip, port should i put there. i was just newby when it comes to this topic. i hope that i you could help me! :) thanks! Hi. Try this setting po:) Make sure na modified by HANDLER yung om po. I use om5beta2. Help po samsung galaxy young ko po..
yes. :) mas mabilis sya early in the morning..
hi lily. I have installed opera mini 5 handler on my e63, i tried the trick above and unfortunately i still can't get pass the installation.. I tried waiting for about an hour or so, pero ganun p dn.... u can email me on this address xiphil8@gmail.com. Thanks. Hi lily i just wanted to ask how do you set up he setings and where on opera 4.4. Write me an e-mail on okesan@yahoo.com Thank you very much! Hi. Pls install the HANDLER version then follow the settings above. Thanks :) Do the installation early in the morning. how bout nokia asha 303?? hi lily pwde b ko mgkaron nito sa nokia n8? Thank u.
how about samsung s8500 wave,...how to start bah? I haven't tried it with samsung phones yet. Pa-try nalang. Follow the steps above. Thanks! you may try visiting www.pinoywap.net for tips and tricks. i got unlucky when doing set up your configuration above..
can you teach me how will it work? i have samsung galaxy young..
how can i have free internet surfing. ummm my phone is LG c305, does that way work with it? I can't make it work with LG phones. You may still try. Goodluck! hi ms.lily.nokian73 po yung ph0ne q.at my operamini7.0 n aq panu q po sya mgagamt ng free. hi lily, i have problem that i am looking for free using face book by opera. but i am downloading free one but it is making charge again. pls tell me what i need to do for using free face book by opera. hi miss lilly pano ba ma set up ang free internet using opera mini sa nokia x3-02?? Can u send me tutorial sa email ad ko kirklogronio@yahoo.com?? helLo! PanO po iset ang nOkia E65 my OM 7 version nq, ngGamit q lng pg my internet aq..tnx! hi miss lilly the opera mini version 6 of my phone with a model tw29 tv dou my phone didnt work. could you help me or send me a configuration settings to my email niex25@yahoo.com. thank you! Meron ka bang mas mabilis n settings n nkkpg download ng apps at games ? But why i can't dload what should i do? Ano po ilalagay sa download para makadownload? This version work well, but now you should try Firefox and Chrome version for mobile! miss lily pls send me step by step procedure of this one for nokia 2700 and nokia asha 203. pulang_radyo_ni_ian@yahoo.com, i tried doing it last night but it wasnt successful. thanks. do i need to extract this one?!. miss lily pls send me step by step procedure of this one for samsung young,naushadahmeddxb@gmail.com, i tried doing it last night but it wasnt successful. thanks. hi po , any sugestion lng po kung anong bagay na OM HANDLER pra sa SEW910i .. napakarami ksi eh ..
OPERA MINI 4.2 mgc past kailangan ng configuration yan para maka pag free internet kayo For Globe only or otherwise for Tm ..
can't seem to find this step "Remove String from URL: global-4-lvs-usa.opera-mini.net"
hindi po gumagana yung opera mini 5 sa nokia n8 ko. what om handler dapat ko gamitin? nokia n8 gamit ko and hindi sitable ang om5. anong handler po b dpat? paano poh mg download ng opera mini nah khit walang load my net parin ung fon k..
Magagamit ba ang settings na ito sa cherry mobile T18? ayaw nya k0munect eg,CM18 po.OM4.4 ang versi0n..
hello my phone is galaxy pocket..uhm something wrong...can you send me the app to my e-mail thank you!. hi ms lily,my cp is c5-00,how can i have my configuration settings? sis,i use nokia n8 anna bella, which opera suitable to my phone? And it is use the same setting?